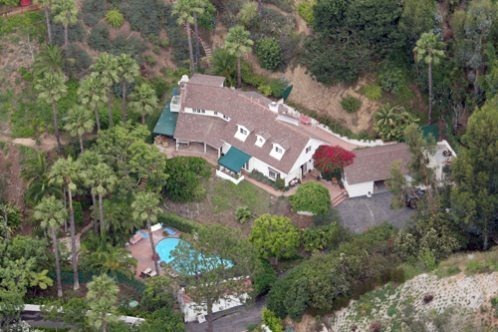 Hugh Laurie- Luxury Home in LA, California. Hugh Laurie- Luxury Home in LA, California. Wallpaper and background images in the Hugh Laurie club tagged: hugh laurie hugh laurie actor 2011 house md. This Hugh Laurie photo might contain resort, resort hotel, holiday resort, business district, downtown, and villa.